The first experiment placed on Diamond's Long Duration Experimental (LDE) facility, on beamline I11, has now been in place for 1,000 days. 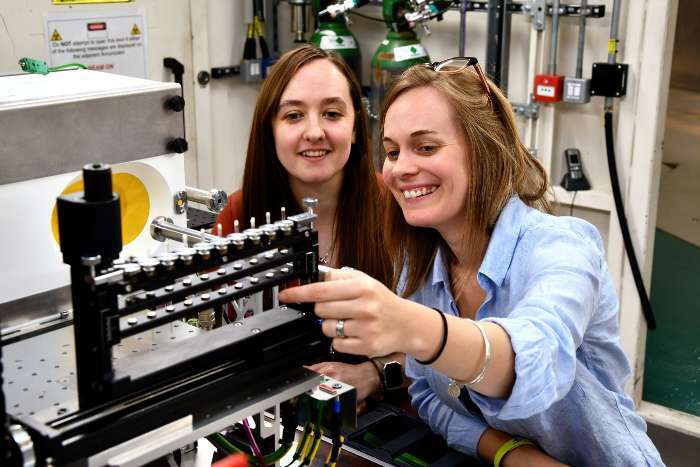 The experiment, led by Dr Claire Corkhill from the University of Sheffield, has used the world-leading capabilities of the beamline to investigate the hydration of cements used by the nuclear industry for the storage and disposal of waste. "Understanding the rate at which hydration occurs in cement, a process that can take anywhere up to 50 years, is very important to help us predict the behaviours of cement in the long term," explained Dr Corkhill. "These cements are being used to safely lock away the radioactive elements in nuclear waste for timescales of more than 10,000 years, so it is extremely important that we can accurately predict the properties of these materials in the future. The unique facility at Diamond has allowed us to follow this reaction in situ, for 1000 days, and the data is already allowing us to identify particular phases that will safely lock away radioactive elements in 100 years' time, something we would otherwise not have been able to determine." Dr Corkhill is planning to return to Diamond to investigate the reaction of these phases with uranium, technetium and plutonium on one of our X-ray absorption spectroscopy beamlines, B18. "Synchrotron light allows us a window into the chemistry of these materials that have a very important role in the safe disposal of nuclear waste that just isn't available through any other techniques," Corkhill added. The LDE was commissioned in 2014, with the first experiment being placed on the beamline on the 6th October 2014. 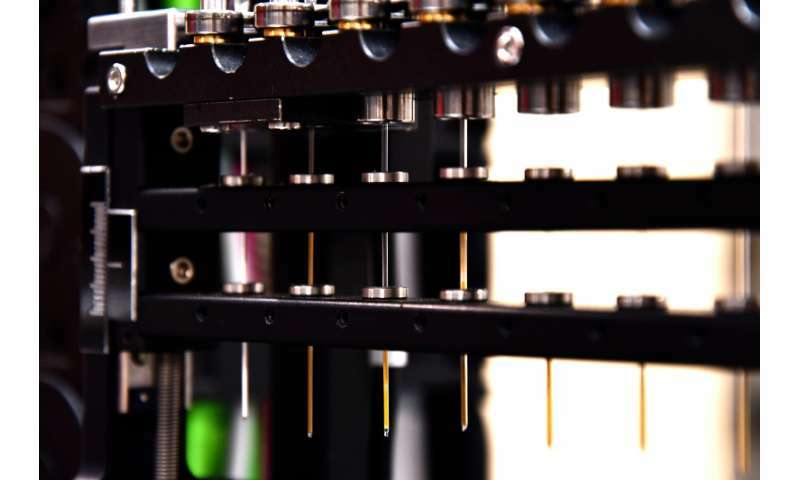 Since then, the samples have been put into the beamline periodically to capture data on any changes. Other experiments have included looking at looking at power cycling in batteries and ice crystal formation. "Seeing long duration experiments in the facility is very pleasing," concludes Professor Chiu Tang, Principal Beamline Scientist. "That we can demonstrate experiments over 1,000 days is a testament to how well we've engaged with our user community, enabling them to use synchrotron light to probe the frontiers of science."